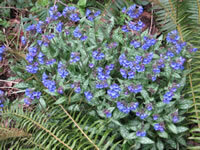 Spotted Lungwort is a clumping, evergreen perennial that is known for its pretty, marbled or spotted foliage and brilliantly colored spikes of nodding, blue flowers that fade to pink or pure white flowers that appear in early spring and last for several weeks. 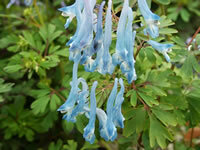 Blue Corydalis is a slow growing, evergreen perennial that will eventually form a dense 18" clump of elegant, 12" tall, lace-like green foliage. Eighteen inch spikes of dangling, tubular, sky blue flowers will adorn the plant from late spring until fall in regions with cool summers. 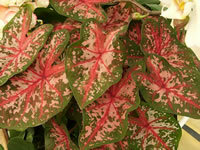 The Caladium is a frost tender, perennial tuber which is grown for its colorful foliage rather than flowers. 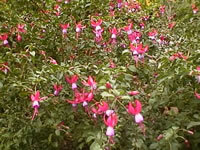 The leaves are usually a combination of different shades of red, pink, green, white. 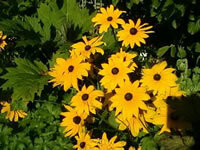 They are easy to grow plants, but tend to be fussy about growing conditions. 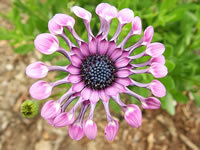 The blooming season of the African Daisy plant begins in early spring and continues until the first frosts of fall. The flowers of the African Daisy will only open fully on a sunny day, but even on an overcast day, they will open partially, giving you a much different effect. Coral Bells are compact growing, 18" mounding, evergreen plants that offer a growing variety of outstanding foliage colors in shades of purple, rose, lime green, gold as well as many striking variegations. 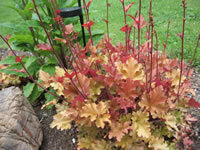 Heucheras attract Butterflies and Hummingbirds, and are Deer resistant plants. 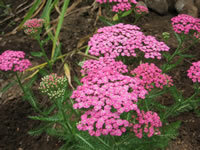 Yarrow belongs to a group of plants that includes many perennial, drought resistant plants that will grow in almost any garden soil. The bright, colorful Achillea flowers attract many types of butterflies, but they may become an invasive weed if they are not properly controlled. The Solomon's Seal is a shade loving, deciduous perennial that produces large, slow spreading clumps of arching, three feet stems lined with pairs of bright green leaves. 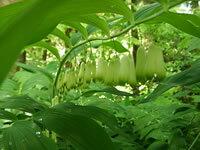 In late spring, clusters of 2-5 elongated bell shaped, greenish-white flowers will hang beneath each pair of leaves. 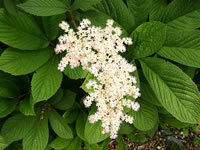 The Fingerleaf Rodgersia is a large, imposing, moisture loving plant that will stand out, no matter where you plant it in your garden. Rodgersias produce their long lasting, fluffy plumes of tiny, star shaped, light pink or white flowers beginning in late spring and continuing until mid summer. Hardy in USDA zone 5-8. 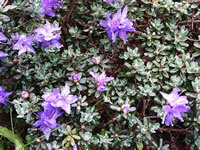 Deep lavender, double flowers appear in trusses of 8-15 blooms in early to mid May. Grows to 15' tall x 10' wide. Hardy in USDA zone 6-9. Bright pink buds open to pale yellow flowers that fade to cream appear in trusses of 11-15 blooms in late April to early May. Grows to 4' tall x 4' wide. The interesting feathery, fern like foliage of the New Zealand Brass Buttons may give the impression that it is a delicate plant, but in reality it is a tough enough ground cover that it can take light foot traffic and is even used as a lawn substitute in many areas. Hardy in USDA zones 5-9. 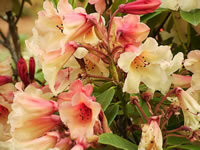 Low growing, mounding dwarf Rhododendron with small, dark green, aromatic leaves. 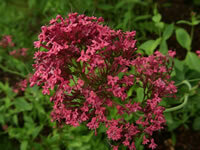 Bright purple, 1" double flowers appear in mid spring. Grows to 1' tall x 2' wide. 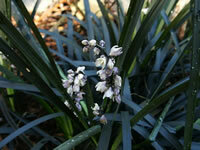 Black Mondo Grass grows as neat, slowly spreading, 4" tufts of ¼" wide, sweetly fragrant, straplike leaves. 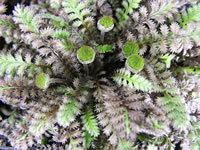 New foliage emerges dark green in spring then changes to dark purplish-black by summer. Black Mondo grows to about 10" tall, and will slowly spread to about two feet. With a blast of different colors, shapes and sizes, Dahlias bring life and beauty back to your landscape in late summer and into the fall months. In acid soil (<pH 7.0) the blooms will be blue, pink flowers if your soil is alkaline soil (>pH 7.0), and white blooms in neutral pH soil. 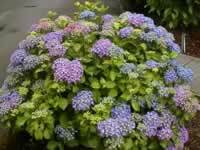 Hydrangea macrophylla plants only bloom on the tips of new growth, so you can remove any stems that have already flowered. 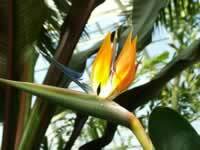 The Bird of Paradise plant grows best when it receives a minimum of four hours of direct sunlight a day, but they should have bright light all day. Strelitzia flower more readily when they are somewhat rootbound, which is why they are often grown in large pots or tubs. 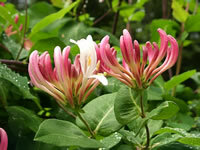 Honeysuckle vines are easy to grow, vigorous, heat-tolerant, and nearly indestructible. 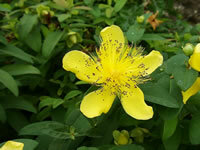 The flashy and fragrant flowers will attract hummingbirds and butterflies all summer long. The resulting fruit of the Honeysuckle flower will provide a fall treat for your local songbirds as well. 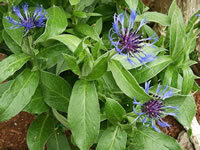 The Mountain Cornflower is an easy to grow, upright perennial which forms large clumps which typically reach three feet tall. 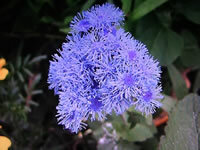 They begin producing their bright blue, two inch flowers in late spring and will often continue blooming well into fall. The Maypop derived this early common name from the way it just seems to 'pop' out of the ground. 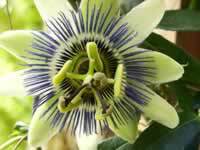 They were renamed as the Passion Flower by missionaries in the early 1500s. They begin blooming in July and continue until frost. The vines can easily grow up to 15 feet. 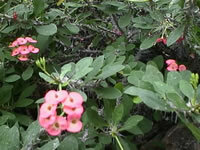 The Crown of Thorns is a frost tender, multi-stemmed, succulent shrub that originated in Madagascar. Dark green, tear shaped leaves appear randomly on each thorn covered branch. A Crown of Thorns will produce flowers nearly all year, but especially in the winter. 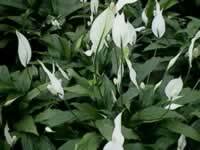 Peace Lily Plants prefer bright filtered light, but will survive in low interior light. They should be kept in a warm environment (68°-85° daytime temperature) with a 10 degree night time drop. Most tropical house plants should be re-potted every 2-3 years. 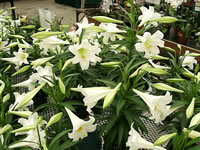 Over 12 million Easter Lilies were grown and sold in North America this year. 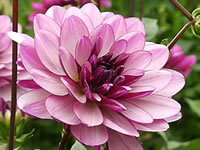 While growing inside the home they are a source of beauty and fragrance. Never place your lily in a draft or where it will be exposed to heat or dry air from appliances, fireplaces or heating ducts. The Floss Flower is an annual plant that is native to Mexico. 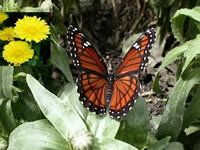 They are great plants for containers or for mass plantings in your flower beds, or as border plants. 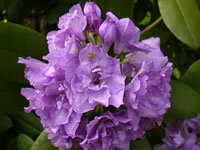 Best known for their furry mounds of long lasting red, white or blue flowers. Regular deep watering is essential. 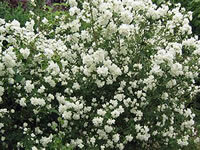 Mock Orange Trees thrive in full sun or light shade. They will grow in almost any soil, but grow best in moist, well drained soil that has been supplemented with peat moss, leaf mold or compost. Mock Orange needs to be pruned immediately after flowering. 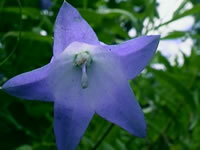 There are about three hundred different species of Campanula. The family contains annuals, biennials and perennials, most of which produce bell shaped flowers in shades of blue, purple, pink or white. The plants themselves range from low growing miniatures and creepers to six foot uprights! English Marigolds are bright, cheery, easy to grow annual plants that bloom from early summer, up until the first frost, producing large, showy, flowers in shades and blends of yellow, orange, apricot and cream.